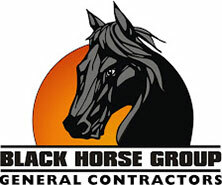 The Black Horse Group greatly values the lasting relationships we have with our subcontracting partners. We require that our partnering subcontractors share the same commitment to quality craftsmanship, integrity, on-time delivery and client value as the Black Horse Group does. Use this form and submit it to BHG to be on our approved subcontractor's bidder's list. This form is required to be submitted to BHG as part of Subcontract with us. BHG maintains a safe working environment. All subcontractors and vendors must be familiar with our safety plan and work in conjunction with their own company safety plan to provide a cohesive work environment. We will require a copy of your company safety plan as part of your subcontract. This is BHG Standard Insurance Requirements for work on our projects.